Grave : Plot II. Row F. Grave 21. Osmer Furnivall was a son of Gordon and Johanna Furnivall, of Colnbrook, Buckinghamshire. Furnivall was given a field burial near Hermanville, France. 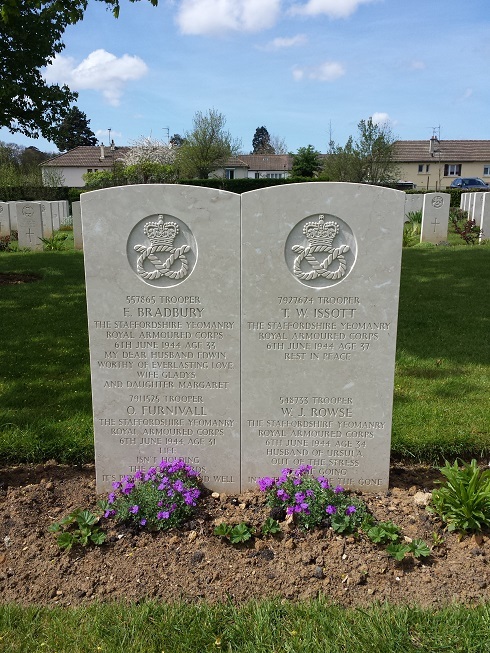 He was reburied in Ranville on 5 june 1945.